Was it the blood-stained shirt? Ted Oded Avraham was born in Israel, served in IDF, and is the recipient of two NASA awards for his community work. He has collaborated with Israeli ministries, non-profits and schools, piloting various components of JeSSI. 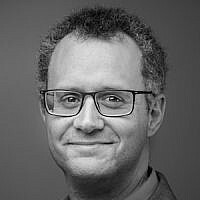 Oded is the founder and leader of the IAC-DC’s Lada’at program, and is a public speaker on matters of Science and Community. Ted has a BA in Geography and Mandarin Chinese from the university of Western Australia, and a MA in Science Education (Technology and Learning thesis track) from the Tel Aviv University. Ted lives Rockville, MD, hold teaching positions, and has two children who receive wholesome Jewish education.